Amargosa Valley schools started the new school year with a new principal and several new teachers. 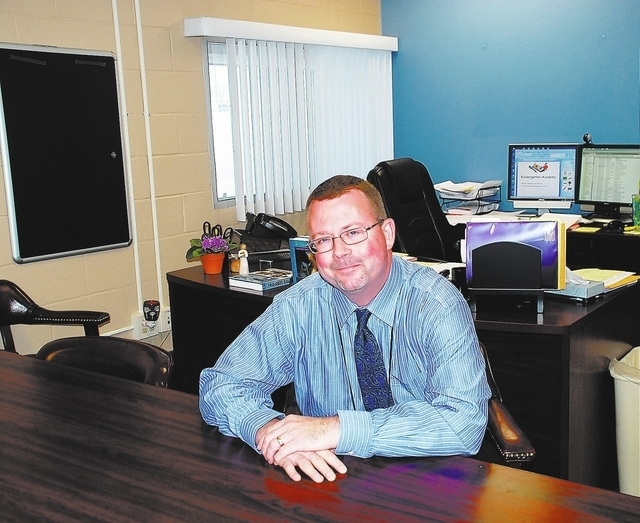 Former head teacher Robert Williams accepted the job in June and said he hasn’t stopped a day since then preparing for his new role, hiring staff and getting the school ready for the 2013-14 school year. Williams is optimistic and says he has a vision. “I want Amargosa to be a destination school for teachers,” he said. Williams says he tries to bring a good attitude to every challenge. He said laughter always provides a more productive atmosphere than being self-involved and overly serious. Williams hopes to have a five-to-seven year opportunity, with a staff being equally committed to seeing positive change manifest. He called his own process of applying and interviewing for the principal position “rigorous,” noting NCSD requires the highest values and most sincere desire to succeed and see every single teacher and student succeed in each school year. “I had to prove that in my interviews,” Williams said. Williams believes what gave him the edge in getting the principal position was his varied experience. He had been head teacher in Amargosa, a special assignment teacher at Pahrump Valley High School, and has held prior teaching and leadership positions.